I’m currently working on the TabBox “Next Generation”. For those who do not know, what the TabBox is: it is the list view shown when using Alt+Tab and can display the windows or desktops (in static or most recently used order). 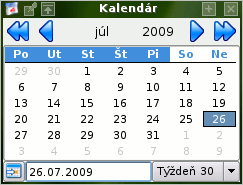 It is also possible to replace the list view by a KWin effect. This new implementation is the second part of my rework for alt+tab. The first is already implemented and available as a window runner so KRunner also lists your open windows and you can even interact with them, like closing, minimizing, etc. And last but not least: Completely configurable item layout. That is the user can choose between some predefined layouts like an informative, a compact, small icons only, big icons only, text only and can define custom layouts. In combination with the view layout configuration you can build a TabBox which looks like the MacOS or the Windows XP without any problems. I hope to get it into a state for review when Tokamak starts as I will go by train and have lots of time for working on it. And if you never understood why your focus policy destroyed your alt+tab behaviour: have a look at this screenshot. Looking really good! It would be great if there was also an option to list windows on all screens or just the current screen, for people with a multi-monitor setup. The current behavior is to only list windows on the current screen, but I would personally prefer to change it to list windows on both of my screens. I am sure there are plenty of people who prefer the current behavior, though. So I think it should be configurable. Wouldn’t it be nice if another option would be a mini-screenshot of the actual screen in the list (preferably live, of course, so you could see movies running in the small versions)? You could just use BoxSwitch effect? What sounds really cool is the krunner window list engine. Now you only need an own hotkey to start krunner with only this krunner plugin activated. So it would be a search only for windows and nothing else. The 4.3 themed tabbox is nice but it takes 1-2 seconds to appear on my computers (both Core 2 Duo-s, ati closed drivers, no composite). Would the tabbox NG do something about that? I find the configuration screen awefull. I can understand complex problems pretty fast, but this screen boggles my mind. Please let it be reviewed before putting that into KDE. I hope this wasn’t too harsh. For those wanting to switch only current app: there is a new shortcut which does that in present windows. @Twosheds: yes there is a regression in tabbox, that one is hopefully fixed with the new implementation. Too many options IMO. It would make more sense to display just basic config possibilities to the user, so he is not overwhelmed with options. For those who want to configure more than that, an “advanced options” button would do the job. In the current way it is not KDE4 but KDE3 bevause it just trows in everything possible. You have a problem with the present windows effect if you have to turn composite off because of problems with xorg, drivers, kernel, kde, who knows…. So it might be good to have this functionality separated from a compositing effect. Is it going to be possible to use standard qt TabBox style instead of that terrible and slow one when switching windows and possibly widgets [eg. 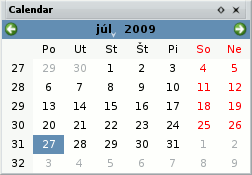 krunner, calendar (http://www.abclinuxu.cz/data/prilohy/3/5/140553-usenativewidgetstyle-13657.png – ugly plasma style, http://www.abclinuxu.cz/data/prilohy/3/5/140553-kalendar-13658.png – KDE 3, http://www.abclinuxu.cz/data/prilohy/3/5/140553-kalendar-13713.png – Qt4)]?